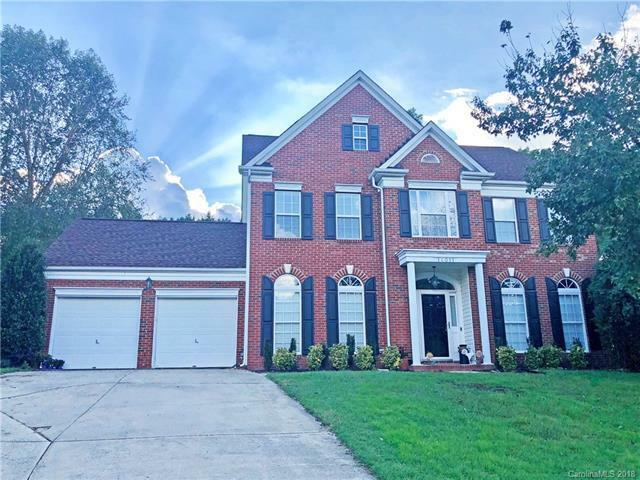 Wonderfully updated and immaculate two-story home located in one of Charlottes hottest areas! Large fenced yard with shed and firepit. Floor plan features a grand owners suite with two walk in closets, tray ceiling, garden tub and dual bathroom vanity. Secondary bedrooms are spacious and provide lots of natural light. Kitchen features upgraded cabinets, beautiful granite countertops & SS Appliances-ALL included. Washer and Dryer are also included. Updates galore including new carpet throughout (Oct 2018), fresh paint (2018), new ceiling fans and lights throughout, 30 year architectural roof (2012), split zone hvac (2012), and many more. Minutes from Rivergate shopping, dining, and Lake Wylie access. Wiltshire Manor is an established neighborhood w/ low HOA fees. 13-month HWA Platinum Home Warranty offered! Listing agent is seller.